It took a recent email from an out-of-towner to make me realize just how much I’ve come to like the Golf Course at Glen Mills. The email was from an avid golfer who was coming to Philadelphia on a business trip for several days. He expected to have some downtime and he wanted a recommendation on the three best daily fee courses in the area. Without even having to think about it, I put Glen Mills at the top of the list. With Hartefeld National and Pine Hill both more private than semi-private these days, it’s hard to imagine that Glen Mills wouldn’t make anybody’s list of Top 3 local courses you can play. (Update: As of Jan. 1, 2010, Pine Hill is Trump National- Philadelphia, and it’s completely private). At the bag drop, in the pro shop, out on the mowers, golfers are likely to encounter students who’ve had a brush with the law and are there to learn the rewards of walking the straight and narrow, as well as life and job skills. 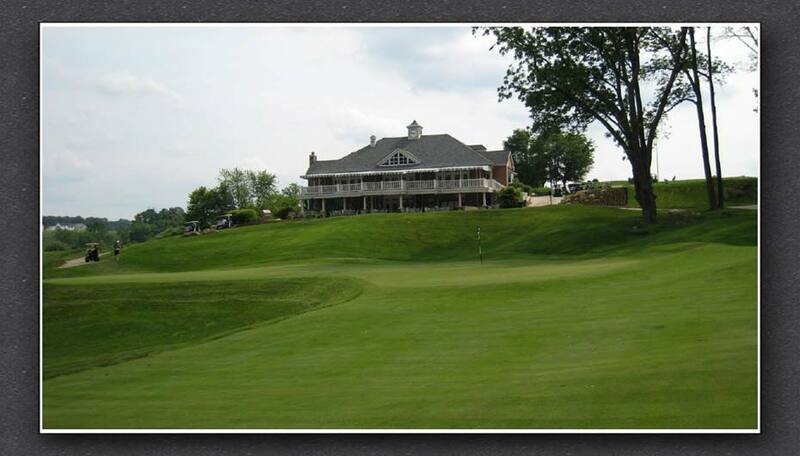 Besides the job training the golf course provides about 40 kids at any one time, proceeds from the 33,000-plus rounds go to fund college scholarships for Glen Mills graduates. "These kids have never had a chance in life," Ron Pilot, the retired businessman and Glen Mills board member who conceived the course, told me not long after it opened. "We give them a chance." A chance and, often, a dream. During a recent round at Glen Mills, I struck up a conversation with the young man ferrying me out to the range to meet my playing partner. It turned out he was from one of the toughest neighborhoods in Philadelphia and had 18 months to go at Glen Mills. After that, he had his sights set on college, then law school. "If he gets in, he can count on a full scholarship," said Pilot, father of seven and grandfather of two dozen, for whom Glen Mills is a labor of love. Even without the compelling back story, Glen Mills would crack my Top 3 daily-fee courses around town. Open since 2000, the 6,646-yard, par 71 Bobby Weed design is a delight from start to finish, rolling across 235 picturesque acres of Chester County countryside. On several holes, the stately red stone buildings of Glen Mills School, which looks more like a cozy college campus than a reform school, come into view in the distance. For Weed, a Florida architect who was recommended to Pilot by his old boss and mentor, Pete Dye, Glen Mills was his first big project in the Northeast. He did not waste the opportunity. After a opening hole that seems easy enough but is a bogey waiting to happen, Glen Mills quickly becomes a three-ticket thrill ride. The second hole, a 431-yarder with an uphill fairway that swerves left, culminates with a flat, seemingly benign green that will give you fits. Even a perfectly struck putt slides past the hole like it never had a chance. The beast of the front nine is the par 5 fourth, a 571-yard double dogleg that’s uphill, then downhill as it wends its way around an abyss that is a 235-yard carry for daredevils. The outward nine also includes the most maddening green within a 100-mile drive, on the long uphill par 3 seventh. Not only is the green four clubs deep, it’s got more mounds than an almond joy and more shelves than a grocery store. The toughest par on the front nine, however might just be the deceivingly difficult, almost-driveable eighth. Only 325 yards from the back tees, the trick to the eighth is negotiating a green that is elevated, shallow and sloped and rejects all but the most delicate approach shots. The back nine starts out with a dramatic downhill par 3 that feels like you’re playing from the roof of a skyscraper, to a huge tiered green below. You can hit the green and be two zip codes away from the hole. By far the most controversial hole is the 11th, a short (376 yards) par four with a daunting-looking ribbon-thin fairway that is squeezed from the right by weed-filled mounds up the right side and on the left by a craggy creek. The play, it turns out, is to hit a 3-wood or long-iron off the tee, hoping to find the landing area that is not easily visible from the tee. Weed grabs your attention again with the two closing holes -- a par 5 that plays longer than its 484 yards and a long par 4, both of which require long carries off the tee. Together, they are a one-two punch in the gut you won’t soon forget. What an amazing course but even the writers can’t get things straight! It what year did Glenn Mills cecede from Delaware County and become part of the "rolling hills of Chester County?". If you can get that wrong than only God knows what else you are lying about! People need to stop assuming everything with "rolling hills" is in Chester County. I can tell you what is in pockets of Chester County, not all, I think it is beautiful but there are more fake, pompous human beings per square foot in Chester CounTy than any other county in PA! A lot of good people too! I played the course recently as I was in town for a wedding. This spot has the makings of a big time golf course. Be aware, the back nine is REALLY hard. A couple of things were off putting, however. When I inquired about making a tee time I asked about the greens and whether or not they had been punched. I was assured that it was long enough in the past and that the greens were putting very smoothly. NO SUCH THING! I dont know when the greens had been punched but they were still pretty raw and very bumpy as a result. How about a little honesty when people call? Secondly, we were pestered by the rangers about pace of play beginning on the third hole. While we were being scolded in the middle of the third hole, the group behind us had just hit their drives on the second hole. We never saw that group again. The rangers continued to pester us all the way through the front nine, which we finished in 2 hours and 5 minutes. We then proceeded to wait on the group in front of us for every shot on the back nine. One final comment. The first cut rough is pretty severe in and of itself. On top of that, several holes have embankments just off the fairway that are an almost guaranteed lost ball. (The reviewer on the website mentions this for the 11th hole but is is true in soem degree all the way through the golf course. The targeted 4 hour and 15 minute pace of play guideline is aggressive, to say the least. Difficult, yet very rewarding. I have played it dozens of times now. Always in great condition. I attribute its shape to the fantastic staff and dedicated students who maintain portions of the course. Rates may look steep, but they are really low in comparison to the quality that this course offers. You can certainly play cheaper in the area, but you won’t be nearly as impressed at the challenge or the quality. Play it, you will not be dissapointed. I love the place. It’s always my first choice away from my own place. Plus Joe is right....you can’t help but feel good that your money is going to great use. I was a juvenile probation officer in an earlier life and knew many of the kids there. What they have done to help these young men is phenominal. And Joe is right about the short 8th hole. I’ve posted some of my highest scores ever there. An incredibly creative hole. Nearly perfect course, one secret is the money spent on elevating tees, a Gary Player essential for a "great look", well done. Sounds like an Awesome course in the area!!!! cant wait to play it this spring!!! Has anyone played it that would like to comment on the course??? ?